Screening and detecting contraband goods in places like airports, government buildings etc is always a tough security challenge. A good scanning or detecting tool can help security enforcement officers or customs officers to target offenders before they strike and create chaos. In Oxford, a British company, ThruVision has developed a sophisticated camera using unique security imaging technology which can detect dangerous objects such as weapons, liquids, explosives, narcotics, drugs, etc concealed under persons’ clothing from up to 25 metres away. The unique camera, T5000, using a so called “passive terahertz imaging system” can detect objects by the natural electromagnetic rays, Terahertz or T-rays, even at outdoor venues. It is a breakthrough for the security industry and a potential foil against terrorists, smugglers or criminals. 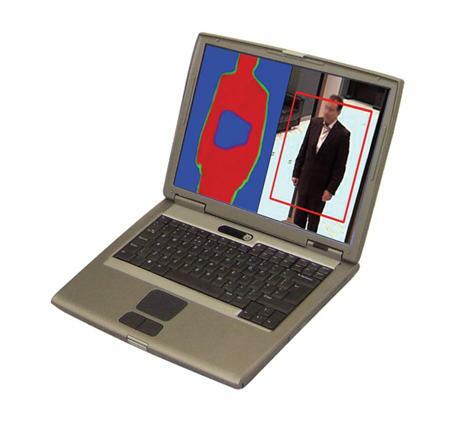 The high-powered T-5000 camera is the only commercially available camera which can detect both metallic and non-metallic hidden objects in stationary or moving subjects without displaying body parts. It is user-friendly, safe, compact and portable. As terrorism rears its ugly head in this post-911 era, the invention of T-5000 becomes highly relevant and essential not only for military use, but also civilian purposes. It can not only assuage fear but provide real safety by preventing the bringing in of concealed illegal and dangerous items to crowded public areas such as shopping malls, political rallies, airports, stadiums, schools and office buildings. The use of T-5000 however raises some concerns about violation of privacy rights in certain European countries. How does T-5000 work? It is based on the science that all people and objects emit low levels of electromagnetic radiation. Terahertz rays lie somewhere between infrared and microwaves on the electromagnetic spectrum and travel through clouds and walls. The wave differs according to the material, so that drugs will not be mistaken for detergent powder.